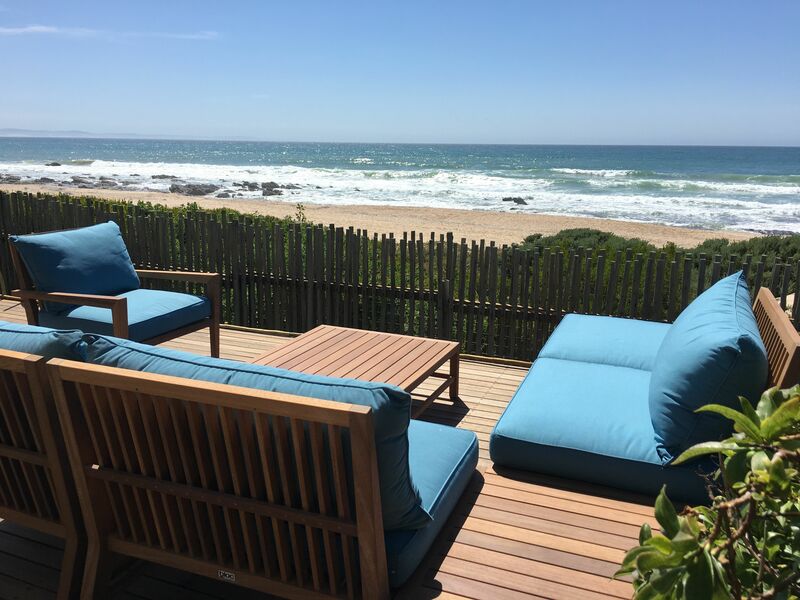 Diaz 15 is a five-star, child-friendly guest house which is perfectly situated right on the seafront in Jeffrey's Bay, giving guests direct access to the main beach and within easy walking distance of the quaint seaside town in the beautiful Eastern Cape of South Africa. Your hosts Coenie and Dorette Nel will be delighted to welcome you to their stunning guest house, share their extensive knowledge of the area, recommend restaurants and activities and assist you to book tables, taxis and tours.Diaz 15 offers the ultimate accommodation for guests who appreciate luxury and convenience in a number of beautifully appointed suites. Tastefully decorated, spacious, air-conditioned and equipped with every modern convenience. Each suite has its own special character and all have balconies or patios where you can relax with a sun downer as you watch dolphins and whales frolicking in the bay, a common sight in this coastal town. Scrumptious Continental or full English breakfasts are served privately in the comfort of your suite to enjoy at the time of your choice. 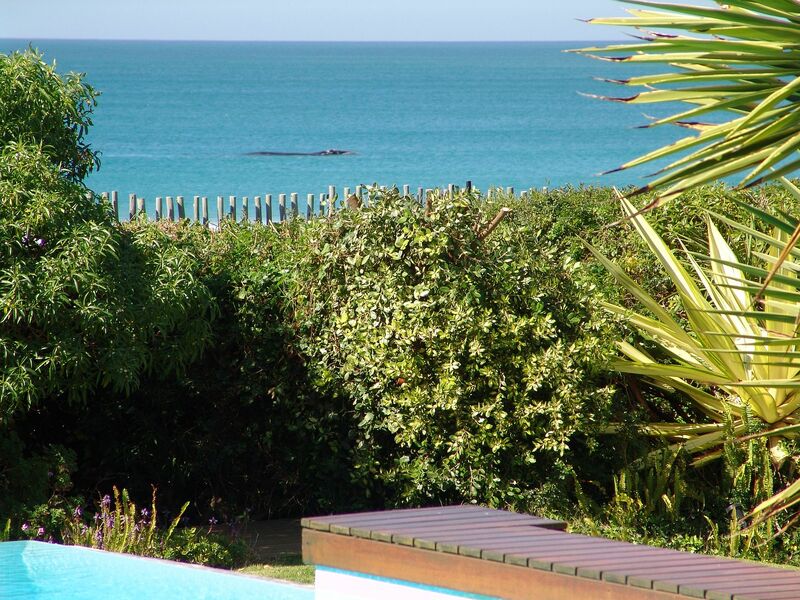 There is secure parking onsite and guests enjoy remote-controlled access to the property. 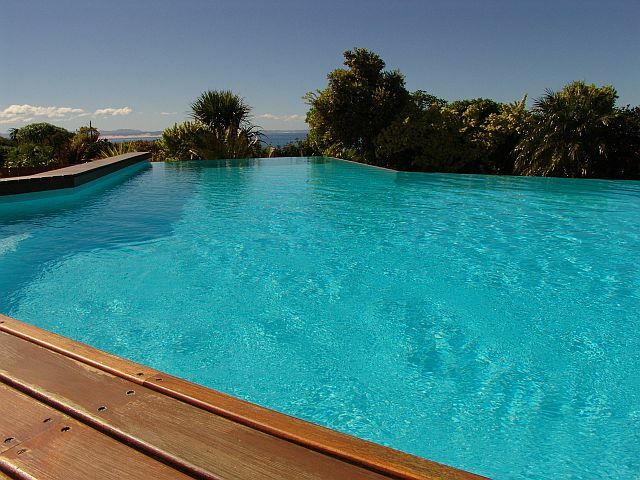 A sparkling rim-flow swimming pool with a sunbathing deck and loungers surrounded by lush, landscaped gardens to ensure privacy, overlooks the expansive beach. Diaz 15 offers prime viewing opportunities. 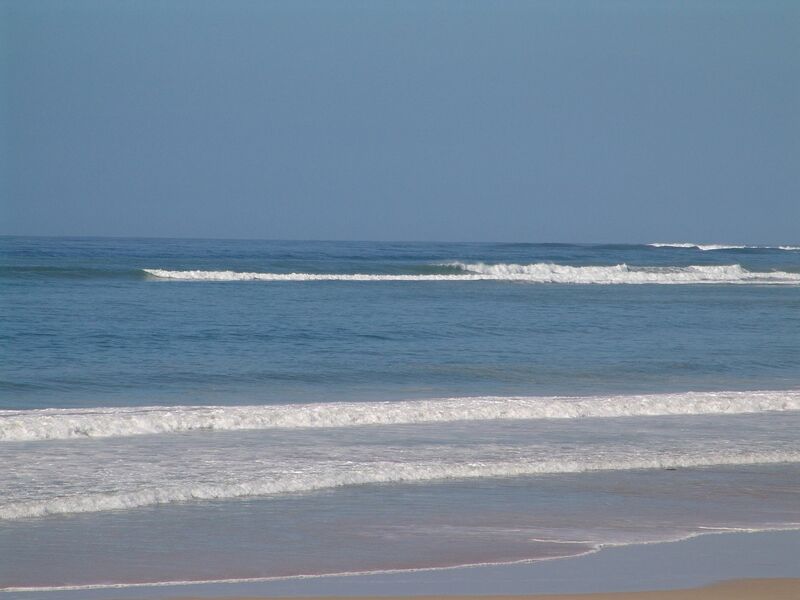 The stunning ocean view creates the opportunity for our guests to watch a mother whale and her calf making impressive splashes just meters off the shoreline or schools of dolphins playing in the breakers. 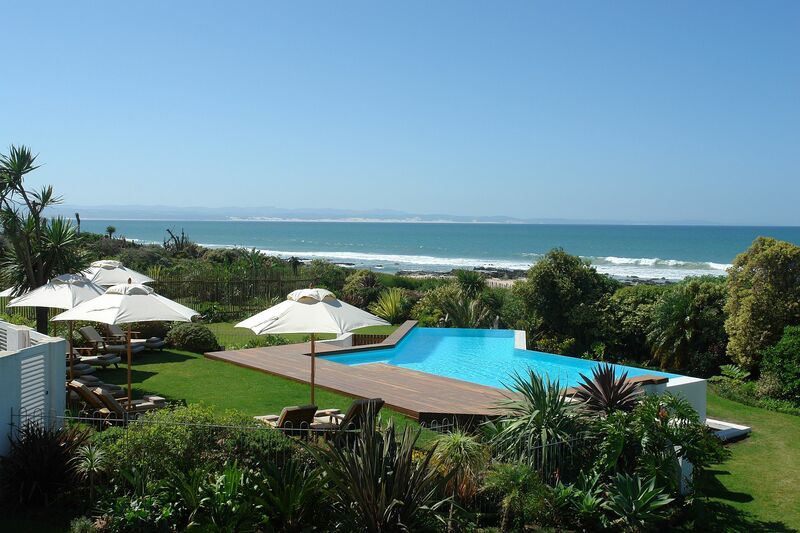 Diaz 15 is a perfect getaway destination and the ideal place to start or end a tour of the world-renowned Garden Route. From this base, 75 km from Port Elizabeth and the airport, visitors can explore Addo Park, Tsitsikamma National Park and other malaria-free Big 5 game reserves in the Eastern Cape. We look forward to welcoming you to Diaz 15!